That Crazy Chihuahua Contest! Vote Today! Today is the Day! Vote for one of our two furry contestants, and the winner’s human will get a signed copy of Solitude. The winning Chi-Dog will also have the opportunity to represent the Chi-Dog in the book, “Crazy”, who acts as a sort of intermediary between Margo and force of mother nature in the book, among other things. You don’t fool with Mother Nature. Although Crazy the Chihuahua is definitely a girl, both of the dogs whose photos were submitted are boys… but that’s okay! Benji was played by a girl dog sometimes, right? You vote by liking the pictures. Thanks! 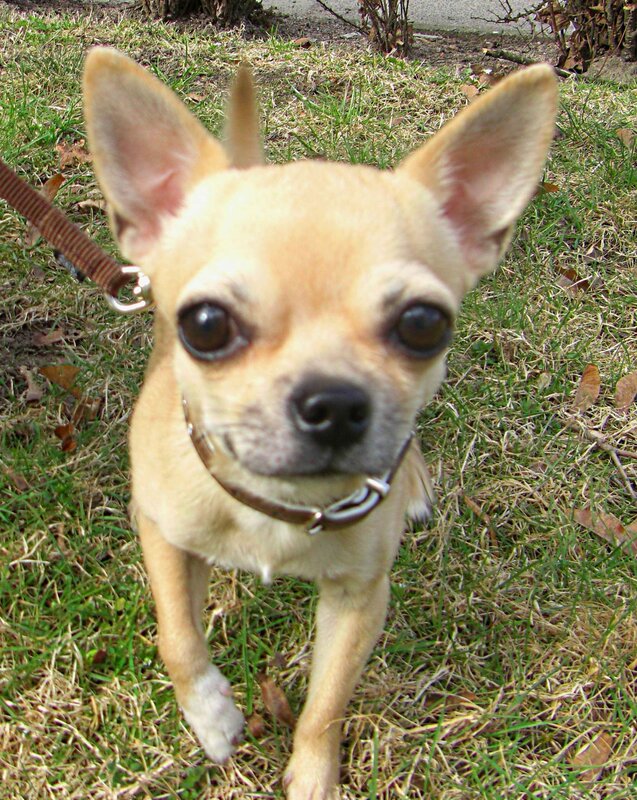 And don’t forget: Oakland SPCA has tons of adoptable chihuahuas if you want to adopt a Crazy Chihuahua of your very own. ~ by Sumiko Saulson on August 1, 2012.